Should I get the options??? Best in class power output 100+ watts pep after tuning and top of the line features. 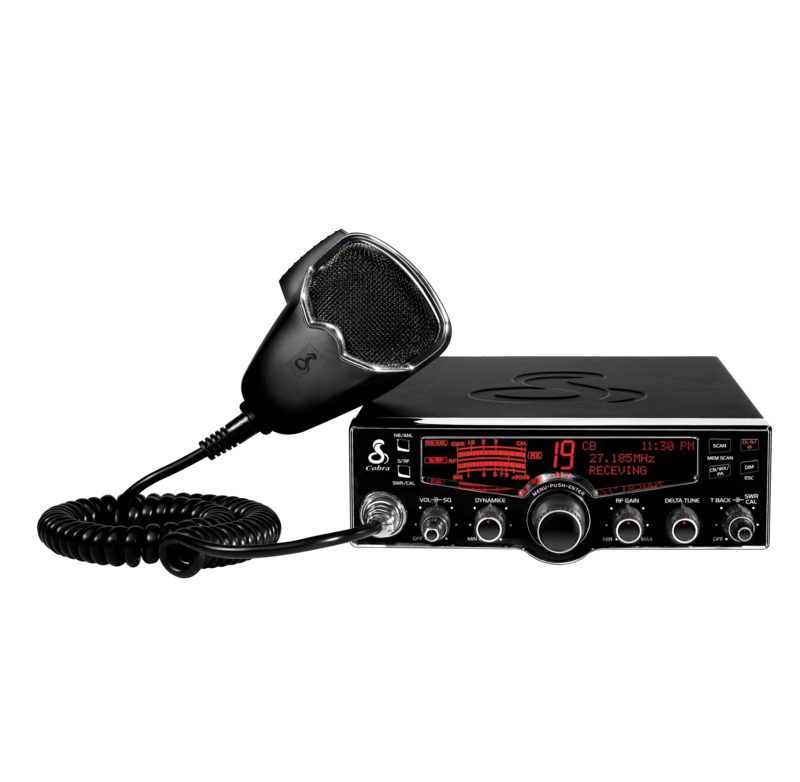 Introducing the Stryker SR-497HPC 10 Meter Amateur Radio. Brilliant 7-Color LED Backlit Face Plate- Choose from 7 colors with the push of a button or let the CPU controller scan through all of the colors on it’s own. Our exclusive face plate design provides operators with back lighted controls, making adjustments even in the darkest conditions easy. 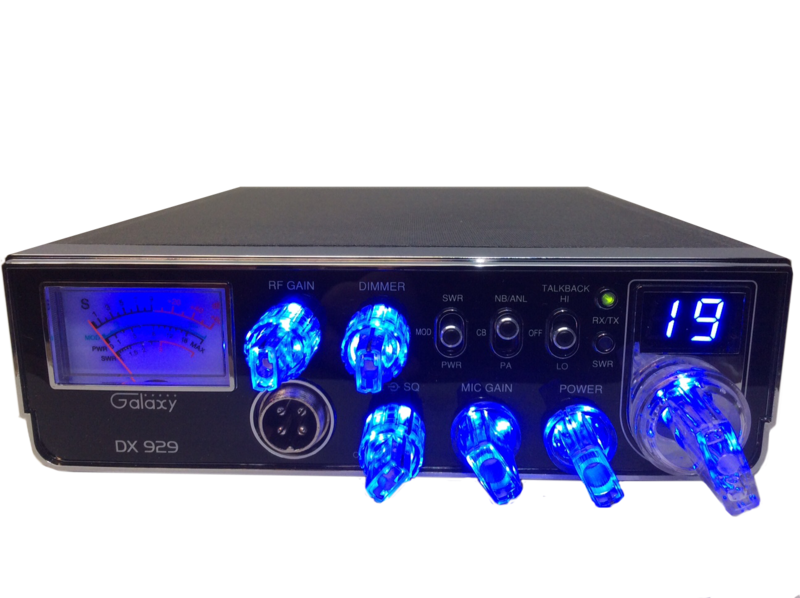 Best of all our design is extremely durable and can be dimmed using the color/dimmer button located on the front panel of the radio. High Power Final Transistor – The SR-497HPC uses four IRF-520 MOSFET transistors that provides the user with 90 + watts PEP. If you want be heard, the SR-497HPC has the power required to do some serious talking. Multiple Step Dimmer – Our improved dimmer allows you to fine tune how bright you want the backlighting and channel diplay. Simply press and hold the “color” button in until the radio dims to the desired level. You are no longer limited high, medium or low. Heavy Duty AM Regulator – We’ve upgraded the AM Regulator for increased reliability. Digital Echo with/ Dual Front Mounted Controls – Provides the operator a much wider range of effects and control than typical factory or aftermarket echo boards. Our board is able to reproduce the human voice with virtually no distortion providing maximum clarity and enjoyment. Two Different Roger Beeps – Two different roger beeps are included with the SR-447HPC. These are controlled using a switched that is located on the front panel. This is a feature that you will find on virtually no other radio direct from the factory. Most importantly the roger beep can be turned off when it’s not needed. Variable Power Control – Allows the operator to adjust or vary their carrier from one watt to 25 watts. This is a must have feature if the operator intends to use an external power device. Variable Talk Back Control – The infamous talk back squeal is virtually eliminated with our independently controlled talk back circuitry. The operator can adjust the volume to the perfect level as operating conditions require. Best of all the user no longer has to turn down the microphone gain to stop the annoying squeal that is often the result of poor design or cost cutting at the production level. Up-Armored™ Receiver- Our exclusive receiver protection works even under the harshest conditions, such as those experienced at a busy truck stop with many operators running high power radios. In addition our receiver filtering is tighter than most radios on the market. This means adjacent channel rejection is improved.